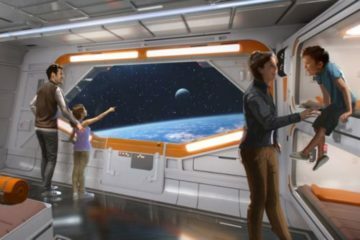 Walt’s vision for Disney World was for the entire family to enjoy his park. The result is a park that makes guests nostalgic for a place they might never have been. It combines the bygone era with fantasy and fun! But Disney World is so much more than a bunch of rides. 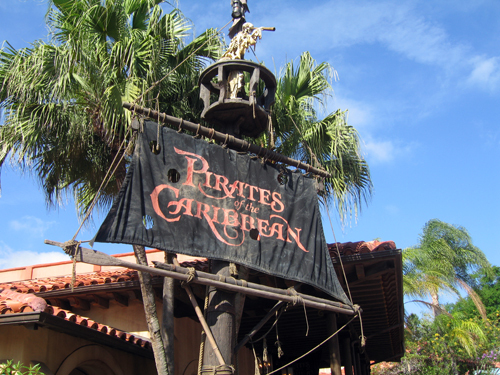 There are quality shows to see all over the resort, and each location has its own themed shows. 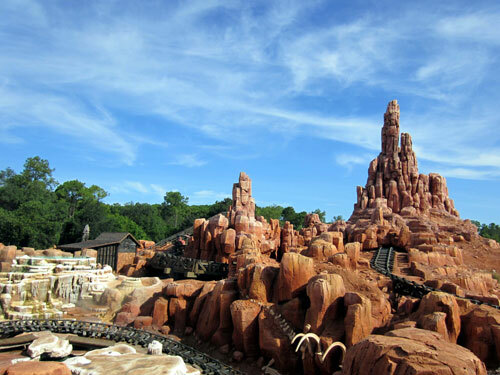 You could easily fill an entire vacation without stepping foot on one ride! I thought it would be fun to take a look at all of the shows that Disney World has to offer. Spoiler alert: there’s a lot! 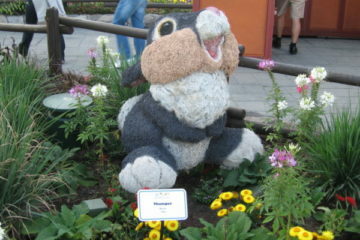 Today we’ll look at shows in Magic Kingdom! Magic Kingdom will open in five minutes, so Let the Magic Begin! 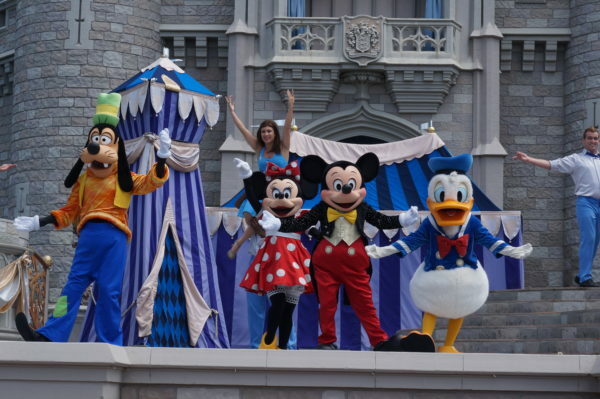 This rope drop show takes place in front of Cinderella Castle with Mickey and some of his best pals! The show only lasts five minutes and can only be seen once a day, so be sure to get there early to allow time to get through security! As you’re walking down Main Street USA, you might run into some locals. The Citizens of Main Street appear in the morning hours through lunch time in their best early 1900s attire. They are always happy to chat about the latest local rumors, and they’re happy to pose for a photograph. Don’t be surprised if they’re confused about your odd technological devices! The Dapper Dans are a classic Barbershop Quartet performing throughout the day on Main Street USA. They sing and dance, tell corny jokes, and even play some interesting looking instruments called Deagan Organ Chimes. 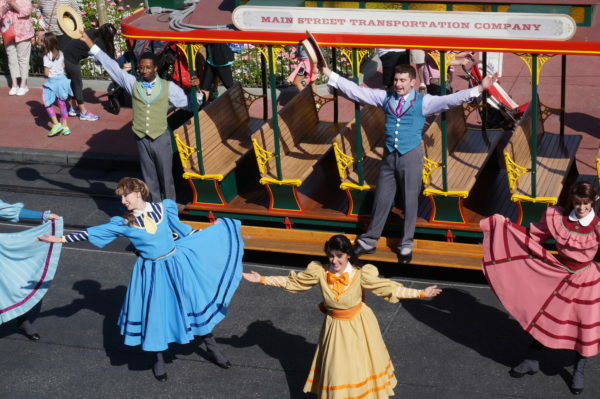 The Main Street USA Trolley Show brings performers dressed in 20th-century clothing onto Main Street for a short singing and dancing routine! The Dapper Dans aren’t the only musical group you’ll see on Main Street! The Main Street Trolley Show includes 12 performers dressed in similar costumes to the Citizens of Hollywood. They sing and dance several times throughout the morning. One of their most beloved and recognized songs is “Walkin’ Right Down the Middle of Main Street”. If you are walking down Main Street when the Trolley Show takes place, please, stop and take it in! Whether you’re enjoying lunch, dinner, or a late night snack before the fireworks, you may have the opportunity to hear Casey’s Corner Pianist! 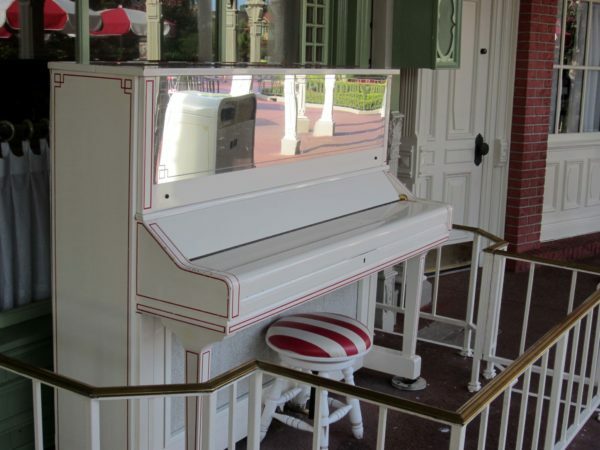 His piano is positioned just outside of Casey’s Corner, and for 20 minutes, he plays some great American classics. He’s a lot of fun, so don’t be afraid to sing along! Stop by Casey’s Corner to hear this entertaining pianist! The Main Street Philharmonic band performs several times throughout the day generally starting at Storybook Circus in Fantasyland and moving to Main Street USA later on. This band is made up mostly of brass instruments with some drums, and they play songs from Disney films and some seasonal favorites depending on what time of year it is! Mickey’s Royal Friendship Faire hits the Castle stage a few times a day! Mickey’s Royal Friendship Faire is a stage show that takes place at the foot of Cinderella Castle several times throughout the day. This magical musical has Mickey throwing a party and welcoming best friends from various Disney movies including Princess and the Frog, Tangled, and Frozen. There’s plenty of dancing, singing, and special effects including fireworks! The Move It! Shake It! MouskeDance It! 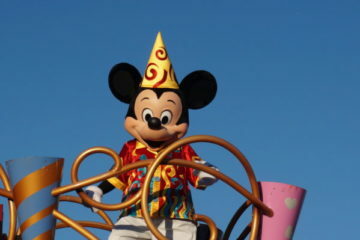 Street Party is a brand new parade on Main Street USA to celebrate Mickey’s Birthday! Mickey and Minnie will get all new outfits for this show, and several of their friends join the fun to celebrate 90 years of Mickey Mouse! The Muppets Present… Great Moments in American History used to be a limited run show, but it has now become a permanent fixture. This cheeky show, which takes place just outside of the Hall of Presidents in Liberty Square several times a day, features Kermit, Miss Piggy, and Gonzo who tell some American History stories from an entertaining view. The Royal Majesty Makers, who are part of Cinderella’s Court, can be found in Fantasyland throughout the morning. They’re on a quest to find a great hero every day, and they do so with proper court etiquette. They can also teach you the finer points of regal behavior! Every good story begins with “Once upon a time…” right? This projection show begins with Mrs. Potts telling her son, Chip, a bedtime story. As she tells them, the stories come to life and Cinderella Castle becomes a canvas to tell stories from some popular Disney movies like Cinderella, Peter Pan, Frozen, Alice in Wonderland, and Beauty and the Beast. You can even be part of the show with magical ear hats and other accessories that perform in sync with the show! 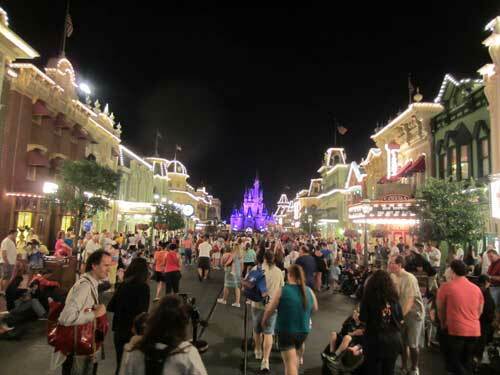 If you think Cinderella Castle is pretty during the day, you should see it at night! Every “Once upon a time…” has a “Happily Ever After”! Following the Once Upon a Time castle projection show, Happily Ever After is Magic Kingdom’s big nighttime spectacular. 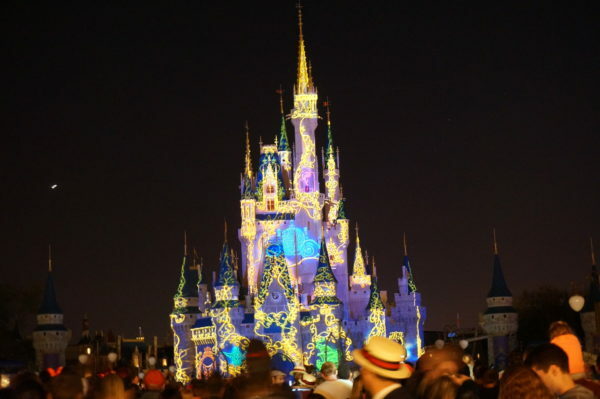 For 18 minutes, guests are wowed with more projection on the castle, fireworks, lasers, and lighting! Movies old and new like Aladdin, Big Hero Six, Brave, Frozen, Moana, Mulan, Toy Story, Up!, and Zootopia come to life while contemporary versions of soundtracks narrate the story. What’s your favorite show in Magic Kingdom?